I love mushrooms! 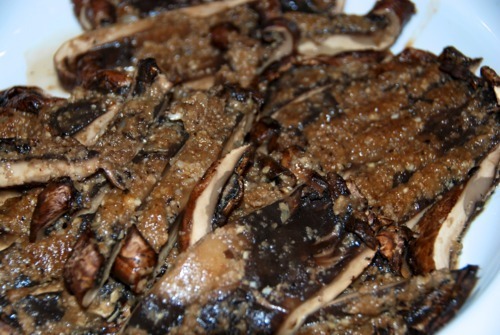 They add that indescribable umami flavor to everything and Portobello ones add meaty heft as well. I’ve described how I normally roast them in foil packets in a previous post but tonight, I made a variation where I added a garlic, shallot, and balsamic vinaigrette puree to the packets before I roasted them. 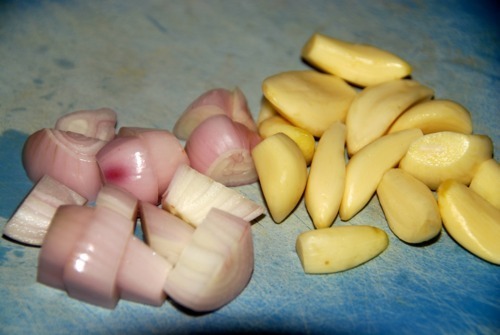 Preheat oven to 400 F and coarsely chop the shallots and trim the ends of the garlic. 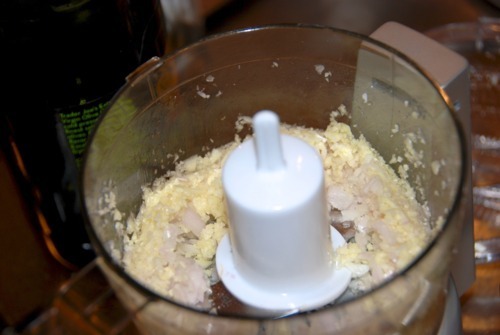 Throw the shallots and garlic into a mini-prep food processor or finely mince by hand, Mr. Yan Can Cook. Add your choice of fat and vinegar to the minced alliums in a 3:1 ratio of oil to vinegar. Season the vinaigrette mixture with a good sprinkling of salt and freshly ground black pepper. 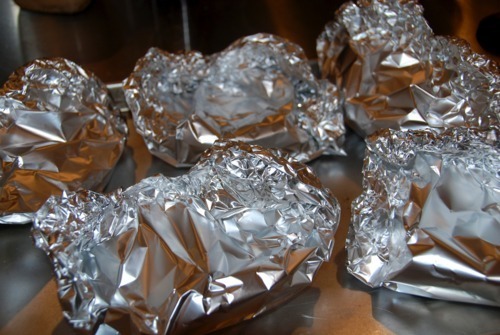 Place each Portobello mushroom on a piece of heavy-duty aluminum foil, stem side up. Lightly coat each ‘shroom with extra virgin olive oil and some salt and pepper. 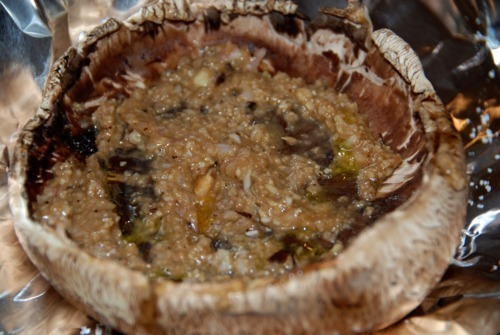 Put a dollop of vinaigrette into each mushroom, spreading until the cap is filled. Tightly seal each mushroom packet and place on a baking tray. Stick the tray in the oven and roast for ~25 minutes. Remove mushroom from packets (watch out for steam!) and slice up.